Data Robotics has released an updated Drobo with two Firewire ports and an updated processor, allowing for faster data transfer and daisy chaining multiple Drobos. 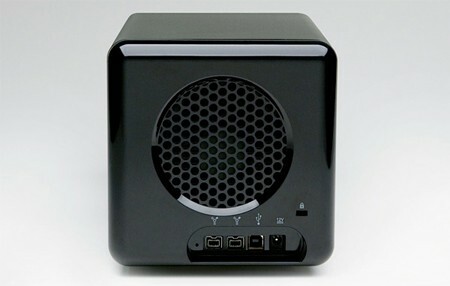 The new models of this storage and backup device also features a quieter and larger case fan. The case itself has been modified slightly but to great effect, looking sleeker than ever. Sadly, they still start at $500 without any hard drives. One nice side effect to the announcement of the new Drobos is the price drop for the old ones. Starting at $350, these still make great storage solutions, and hanging on to $150 isn’t bad either. Still, if the idea of buy anything for this purpose curls your toes, build your own network attached storage.